I had a fantastic day with all my lovely friends over at Hobbycraft HQ on Tuesday 9th Jan. We met up for filming during the day and at 4pm the lovely David Westman and myself hosted a Facebook Live! 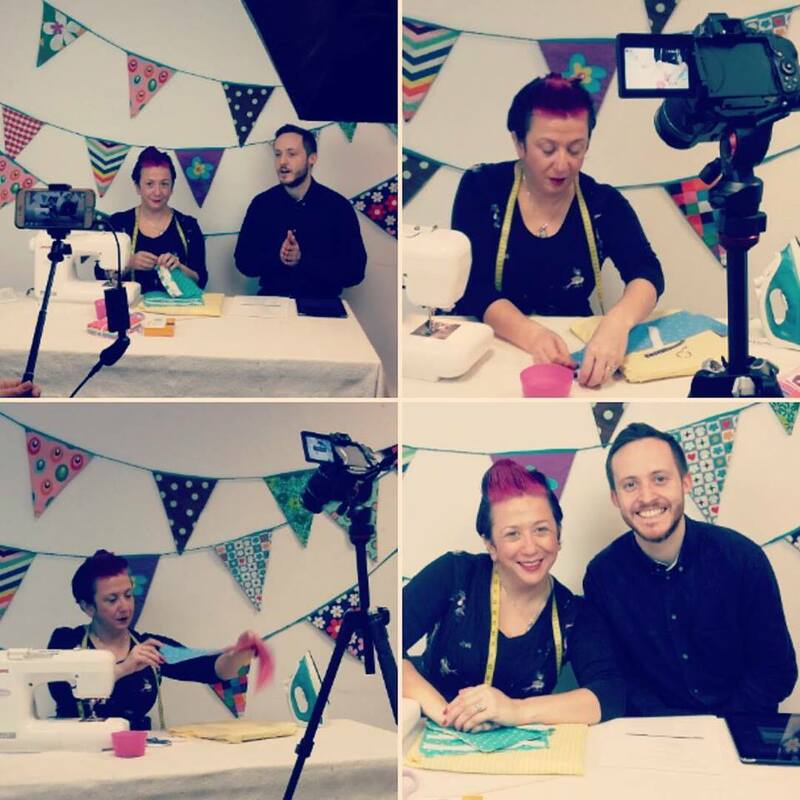 I was making the velcro pencil case as seen in the video, and while doing this, David went on to chat all things sewing and ask me some of the ‘Big Sewing Questions’ that have been coming through.. Much fun and laughter was had – you can watch the live video above. There are lots of my makes on the Hobbycraft blog too! Previous post: What’s the best stitch to use when sewing stretch fabric? Next post: How do you sew a Buttonhole?